KiwiSaver has to be the thing I get the most questions about. People are rightfully wanting to look after it, manage it well, and ensure they have a comfortable retirement. Unfortunately, there are a few misconceptions floating around, that could see people hurt their ... See More future instead of helping it. Like, that if you’re worried about a market crash, you can ensure your safety by going for a low risk fund. That’s not necessarily true. Or, that markets going up and down, is even a thing to be avoided. Labelling certain types of investments as high risk does make some people nervous, but it can be more risky for your future to be always playing it safe with your retirement fund. 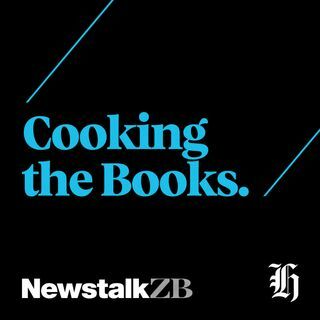 I talked to Financial Markets Authority investor capability manager Gillian Boyes for the latest Cooking the Books podcast. We discussed what people are getting wrong, and what we should be doing instead. For the interview, listen to the podcast above. If you have a question about this podcast, or an idea for the next one, come and talk to me about it. I'm on Facebook here https://www.facebook.com/FrancesCookJournalist/ Instagram here https://www.instagram.com/francescooknz/ and Twitter here https://twitter.com/FrancesCook.